When it comes to hosting the Oscars, it's almost customary to expect a host who is a comedian. Over the history of the Oscars, we have seen a series of American comedy icons -- such as Steve Martin, Jon Stewart and Ellen Degeneres, to name a few -- carry the weight of the Oscars' success on their shoulders to offer their incisive commentary on contemporary American culture. Despite a few misfires (Seth MacFarlane, anyone? ), comedians have acted as a channel for audiences to connect with an awards show that can often seem self-congratulating and pompous. Continuing in the footsteps of former iconic black hosts -- such as Sammy Davis Jr, Diana Ross, Richard Pryor and Whoopi Goldberg -- many of us expected Chris Rock to make searing commentary on black representation and celebration in the arts at a time when America currently struggles with the shadows of Jim Crow past. #OscarsSoWhite, a hashtag that trended shortly after the nominations were announced, was a sign that the public was noticing how -- for the second year in a row -- the predominantly white, male Academy of Motion Picture Arts and Sciences voters were nominating predominantly white actors, actresses and directors. It seemed natural, and even necessary, that Rock would address the racial disparities in society and the arts. And, for the most part, he succeeded with humor. Rock made bold statements on how people of color -- black actors, actresses and directors specifically -- were excluded and continue to be excluded from the Oscars, or what he called "the white People's Choice Awards." He darkly joked that in the past, Black Americans couldn't participate in the Oscars because "We were too busy being raped and lynched to care about who won best cinematography. When your grandmother's swinging from a tree, it's really hard to care about best documentary foreign short." In response to the wide movement to boycott the Oscars he continued to state that "It's not about boycotting. We want opportunities. We want black actors to get the same opportunities. That's it." Oscar hosts often define the event itself, and Chris Rock's hosting gig primed the Oscars to be a race-conscious, progressive outlook into racial representation in the arts. But, here's where Chris Rock went wrong for me: his blatantly racist Asian joke. Playing on the model minority myth that Asians and Jews are good at math and academics, Rock introduced three Asian children as PricewaterhouseCoopers accountants (with one of the three having a Jewish last name.) Rock, perhaps anticipating the backlash his joke would have, brushed off his joke and said, "If anybody's upset about that joke, just tweet about it on your phone, which was also made by these kids." And, as Rock predicted, people tweeted with outrage. Umm, no @chrisrock. Using little Asian kids to joke about math stereotypes and child labor isn't funny. So we're all upset about the racial makeup of the Oscars but it's OK to make fun of Asian kids onstage? Here we have an unfortunate and outrageous case where a black comedian, in the midst of his crusade to skewer Hollywood for being racist and exclusionary towards people of color, went on stage to millions of American viewers and made fun of three Asian children on the sole basis of their race. The worst part is: people laughed. The audience, the viewers, producers and Rock himself, reveled in their own conscious approach to black exclusion from the arts, and yet targeted a minority that is often perceived as being "submissive" and "obedient." In a bit that lasted a mere 45 seconds, audiences across America were implicitly told by Rock and the laughter that followed that racism in the arts wasn't to be tolerated -- except when people want to laugh about Asians. 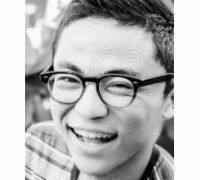 "That is why Asian Americans, who often have to overcome a language barrier, are succeeding far more than African-Americans and even more than white Americans. Their families are intact and education is paramount...If African-American children do not learn those things, they will likely fail as adults. They will be poor. They will be angry, and they often will be looking to blame someone else." What Rock doesn't know is that his joke, while perpetuating racist myths of Asians, is being used against his own people. The model minority myth is often used as a tool to protect white supremacy, deny institutionalized racism against Black Americans and justify anti-Black racism. Taking part in the perpetuation of the model minority myth is anti-Black racism in hiding. Ironically, during his attempt to show anti-Black racism in the arts, Rock has successfully perpetuated the very form of bigotry he was trying to call out. In doing so, Rock has driven a wedge between two communities who need to band together to not only combat institutionalized racism, but also work to make inclusion and celebration for people of color in the arts a reality. It's easy to discredit the Oscars as a self-congratulating award show, but we often forget how monumental and inspiring it is when people of color are represented and celebrated in these institutions from which we are traditionally barred from. When Halle Berry became the first African-American Oscar winner for Best Actress in 2002, her speech inspired a nation. "This moment is so much bigger than me," she said. "This moment is for Dorothy Dandridge, Lena Horne, Diahann Carroll...It's for every nameless, faceless woman of color who now has a chance because this door tonight has been opened." We can only hope to see a day when the Oscars are filled with actors, actresses and directors of color, but Rock's disparaging joke about Asians divides us and further distances us away from this dream. 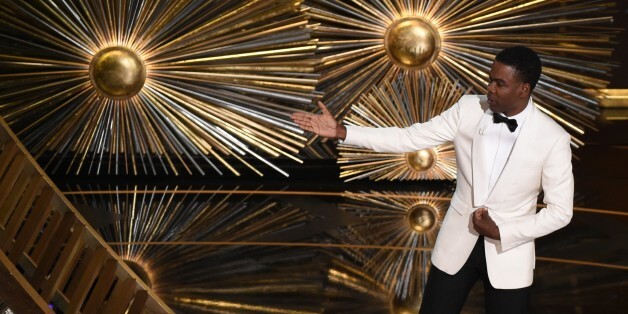 His monologue and comments on racism were penetrating and often true -- but I could only hope that soon, Chris Rock will realize that his joke is part of the Oscar diversity problem that he criticizes.